Carolina Window Fashions presents a unique approach to thie clients by applyng the latest knowledge and innovative thinking concerning the value of their home and interior possessions. We have shifted the industries thinking by evaluating the entire home and looking at things one might not see as connected or related to window treatments. We assist clients, architects and designers with pre-planning to provide the ideal application. 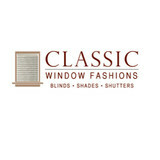 Hello, I’m Steven Margolies, owner of Classic Window Fashions. I’ve been helping people in Blowing Rock, Boone, Banner Elk, West Jefferson and all of the North Carolina High Country transform plain windows into spectacular windows for over 25 years and want to help you do the same. I am an exclusive Shop-At-Home Dealer. I bring selection and expertise to your home where you can see fabrics and styles right where you use them. You get both convenience and prices that eliminate the high cost of overhead. We offer our LOW PRICE GUARANTEE for all our products including HUNTER DOUGLAS WINDOW FASHIONS. Sales and professionally installed window treatment products that are manufactured by the very best companies in our industry. Hunter Douglas, TimberBlind & Shutter, Metro Blind & Shade, Caco, Inc., and Norman Shutter Co. All window fashions are offered with a Lifetime Guarantee. Whether you’re building a new Johnson City home, remodeling an old one or just replacing a few windows that are past their prime, your window dealer in Johnson City, TN will help you pick the right windows for your needs, home style and budget. Windows come in so many sizes and types that expert advice and direction is invaluable in helping you make the best decision. These pros can also help you with custom window designs that complement your space better than something ready-made. Lastly, if you are interested in doors with windows, these experts are also knowledgeable about sliding doors, French doors and other paned portals. Find a window dealer on Houzz. 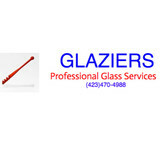 Narrow your search in the Professionals section of the website to Johnson City, TN window dealers. You can also look through Johnson City, TN photos to find examples of windows that you like, then contact the window professional who worked on them.